The Raspberry Pi Foundation was set up "to put the power of digital making into the hands of people all over the world". The tiny credit card sized (and smaller) computer boards are designed to provide low-cost and high performance computers used "to learn, solve problems and have fun." So seeing a RasPi as an essential component of a fire-and-forget guided anti-tank missile launcher, shown off at a 'Security Trade Show' in the Ukraine, might be an unwelcome development in the eyes of the foundation. It certainly isn't mentioned on the Raspberry Pi blog, with recent stories about lollipops and kittens. As reported by Popular Mechanics, the Raspberry Pi minicomputer is an essential part of a "shoulder-fired, disposable rocket launcher in a similar class as the Swedish/American AT-4 or Russian RPG-29". The technology is used to allow the weapon and warhead to communicate and to provide guidance for the warhead to hit its target. The so called 'fire-and-forget' rocket may be one of the first in the world to be guided by sound. Popular Mechanics says that would explain the presence of the RasPi in the actual warhead of the prototype. The RasPi would be equipped with a sensor to listen for the characteristic sounds of tanks or helicopters. Sound sensing weapons aren't great performers in the heat of a noisy battle but it could be adept in ambush or surprise attacks on targets. Furthermore, its sound sensing would not be swayed by traditional countermeasures like flares or chaff. It is not known whether the RasPi will feature in the finished weaponry product. A Pi in the face! 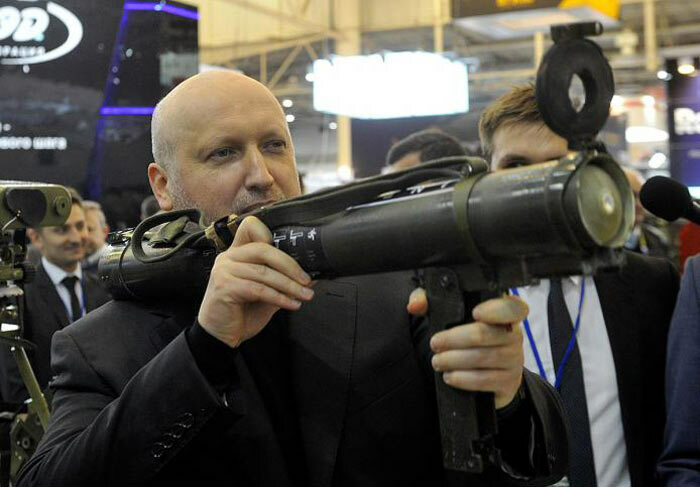 The Ukraine is one of the biggest exporters of weapons in the world and develops plenty of indigenous weaponary. I expect it might actually work a bit better than we suspect. Its quite ingenious though - they are using cheap off the shelf electronics instead of expensive dedicated military electronics. But will it run Minecraft?